The purpose of this post is that although they are not the most famous, they are unmissable! In our previous blog post we started a list of what are in our opinion the locations that should make the top of your travel lists. Several years back while in Munich, I chose to venture around to Salzburg, Austria to get a day trip because it was just a two hour train ride away. I instantly fell in love with all the city after arriving. The fort sits high over the town and will be clearly seen from many parts of Salzburg. It’s possible for you to get as much as the fort through the funicular railway and the views of Salzburg from here are even more dramatic, while the fort is very good. It actually gave me a completely new taste for the beauty of the wonderful European city. 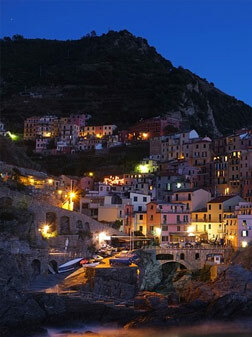 The sequence of five towns clinging to the most rugged portion of Liguria’s coastline, the Cinque Terre, is back. Ligurian farmers have now been reclaiming the wild slopes with neat rock patios for over 2000 years but disastrous flood in late 2011 wiped out the centuries of work put in parts and the terraced vineyards of the celebrated paths connecting the towns. In the intervening year plus a half, dig out the trails the locals have gone to heroic lengths to reconstruct the terraces, and repair the damaged buildings. Steep cliffs and carfree towns made building and debris removal highly demanding, but it is looking better than ever before today. Along the way, make sure to explore the small beaches that are hidden beneath and climb at the five scenic refuges perched above the towns to the heights. Visiting Bratislava should be unquestionably on your list. Not only since it’s situated in Slovakia – a state that is lovely, people normally call the center of Europe but also since it is the sole location where you eat fancy food and can remain in 5* resorts plus it will not splurge your funds. If you’re heading to Vienna and your budget is pretty tight, you’ll be able to remain cheap in Bratislava and do day trips to Vienna which is just an hour away. Bratislava, Slovakia is famous for great beer, interesting national food and delicious wine! Just give it a shot!